How do you measure low resistance? Why do we have resistance measuring instruments, some with only two test leads, some with three and even some with four test leads? The answer depends on the degree of information required from the measurement, and the magnitude of the resistance being measured. 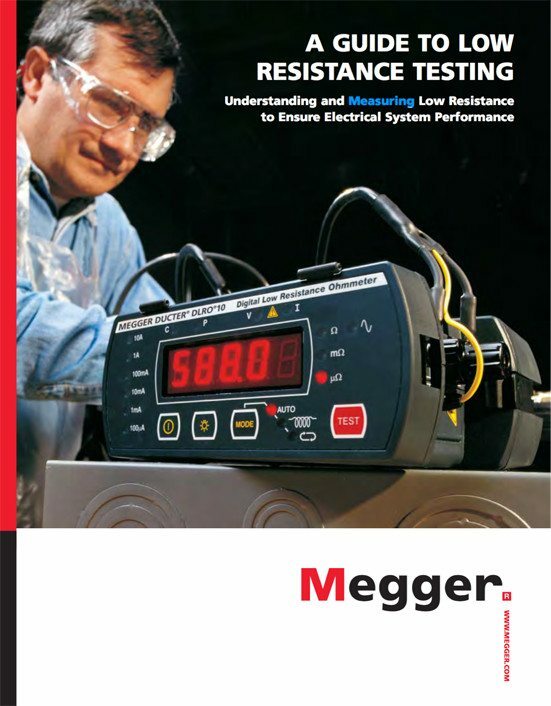 Resistance readings cover a wide range of values from micro-ohms into the thousands of meg-ohms region. 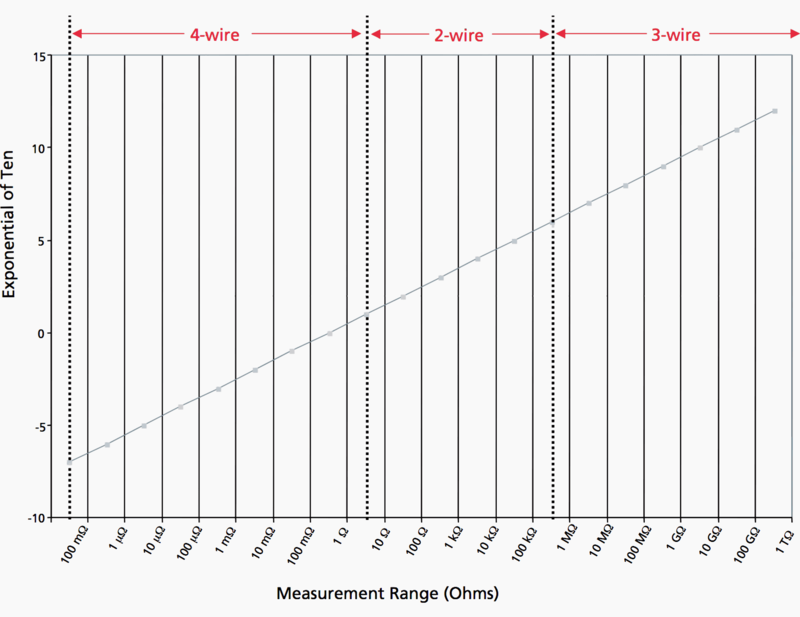 Figure 1 shows the measurement range (2-Wire, 3-Wire and 4-Wire DC Measurements) in which each type of instrument performs best. Two–wire testing is the simplest method and it is used to make a general assessment of a circuit element, conductor or the routing of a conductor in a circuit. The two-wire lead configuration is most familiar to many operators as it is the configuration used on most multimeters. It is generally used when the probe’s contact resistance, series lead resistance or parallel leakage resistances do not degrade the quality of the measurement beyond a point acceptable to the operator. The measured value will include the test lead wire resistance and contact probe resistance values, which will affect the measurement by adding some tens of milli-ohms to the actual resistance. In most instances this will make little practical difference to the measured value, but when the measurement is below 1.000 ohm the two-wire method can easily introduce an error, which could be several percent, into the measured resistance value. The specifications on some hand-held meters indicate a 200 milli-ohm range with one milli-ohm sensitivity. The lead resistance may be zeroed out, but that leaves the uncertainty of the contact resistances, which can change with each measurement. 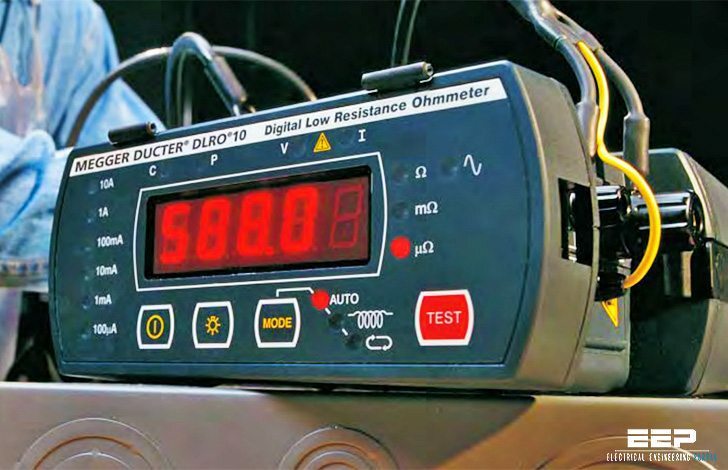 Contact resistance values may be in the 35 milli-ohm range at each probe and can vary with the temperature of the material under investigation. The two-wire test method is best used for readings above 10.00 ohms up to 1.0 to 10.0 megohms. Three-wire dc testing is reserved for very high resistance and is typically used for measurements above 10.0 megohms. We normally associate this type of testing with diagnostic insulation resistance. The test method uses a third test lead as a guard, and allows for resistances in parallel with the test circuit to be eliminated from the measurement. This parallel resistance is usually considerably lower than the insulation resistance being measured. In fact it may, in severe cases, effectively short out the insulation resistance such that a meaningful measurement cannot be carried out without the use of a guarding circuit.